It’s getting to that time of year again when all the manufacturers start to roll out their new models for the next 12 months. 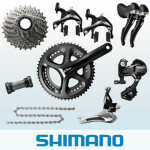 Shimano have made some great looking groupsets over the years and they always seem to improve on it year on year. 105 always had some nice details and was pleasant to look at but this year Shimano have yet again subtly made it even better. You’ll noticed the change more so with the silver which is a more muted tone than normal, black tends to be the more popular option but this time around preferences may shift. Anyway that’s the looks done, so what about the function? Well the groupset has of course an extra cog so now it’s joined its bigger bothers Ultegra and Dura Ace in the 11 speed divisions. You can now run hydraulic discs with it should you wish to making it good perhaps for the cross market. The other noticeable different is that it now allows for large tyres, great for commuters who are always asking for bigger tyres for those nasty wet rides to work. 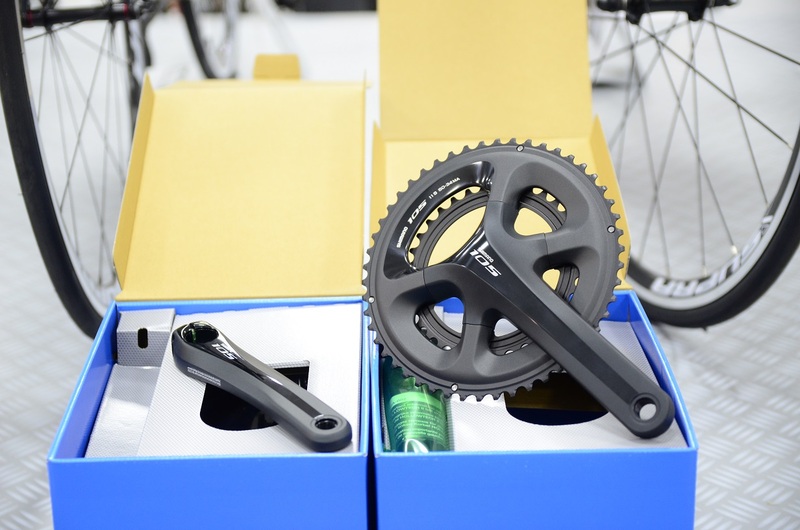 There are other differences too in the individual components, the chainset now comes in a 4 arm model. The dual control shifters now have the same shift action as the upper models and you can adjust the lever for your hand size. The front derailleur has a longer link arm and spring mechanism and the rear also has new springs and cable pitch. The calliper brakes can allow for tyres up to 28mm wide and there is an increase in braking power of 10%. The cassette comes in 11-25t, 11-28t and 11-32t and the chain has PTFE surface coating that reduces friction, this was introduced first on the Dura Ace model. 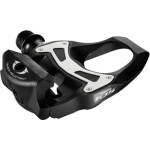 New pedals are also available that not only look fantastic but are 50g lighter too. Tagged 105, 5800, Groupsets, gruppo, Shimano. Bookmark the permalink.